Green building is about more than Green Star certification. It is also about engineering functional, efficient buildings that continue to perform long after the certification has been awarded. And this also applies to government infrastructure. 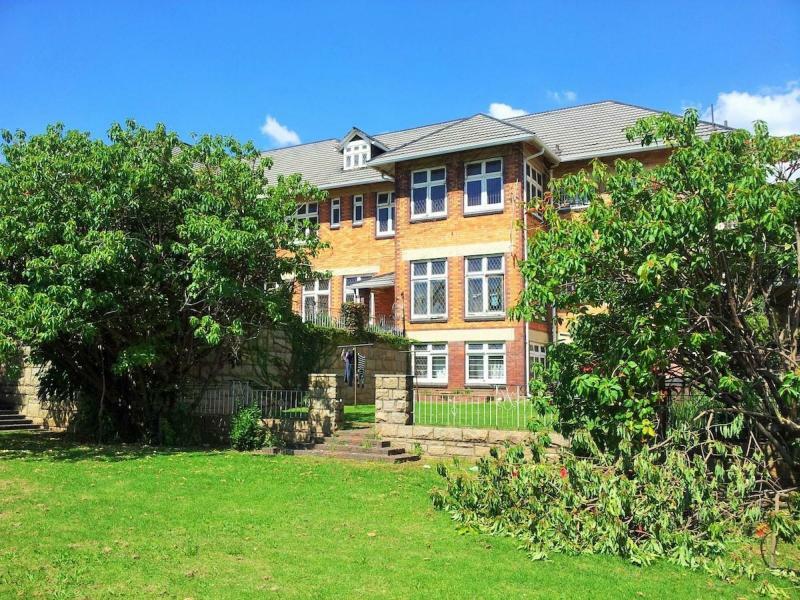 Appointed as the green consultants on two public healthcare projects in Johannesburg, the refurbishment of the dilapidated 26-building Hillbrow Hospital and the construction of a new ward at Tara Psychiatric Hospital in Sandton, Shaba & Ramplin is focusing on the Internet of Things. Both of these projects intend to target Green-Star certification, using the custom healthcare tool with the added goal to quantify building performance. “A big part of the budgets for these two projects is going towards energy and water sub-metering, as well as remote monitoring and reporting. We want to make sure that we are able to monitor, control and report on the buildings without physically having to be there. “In doing this, through the Internet of Things, we can set key performance indicators (KPIs) for the facility managers, determine if a building is underperforming and why, affect changes and ensure that public money is spent wisely,” Shaba explains. The team is working closely with the Research and Green Technology chair of the Gauteng Department of Infrastructure Development to create literature and case studies and build up knowledge about this aspect of green building specific to South Africa. Following a green strategy in an intricate healthcare environment, however, is not so straightforward. Shaba explains that, for healthcare buildings, the Infrastructure Unit Support Systems (IUSS) health facility guidelines come before Green-Star requirements. “For example, in hospitals, certain areas must always be lit and 100% fresh air is required, and these requirements come first. But this also affords us the opportunity to show that Green Star does not compromise the functionality of a building, even in such intricate and intense environments such as hospitals,” she states. 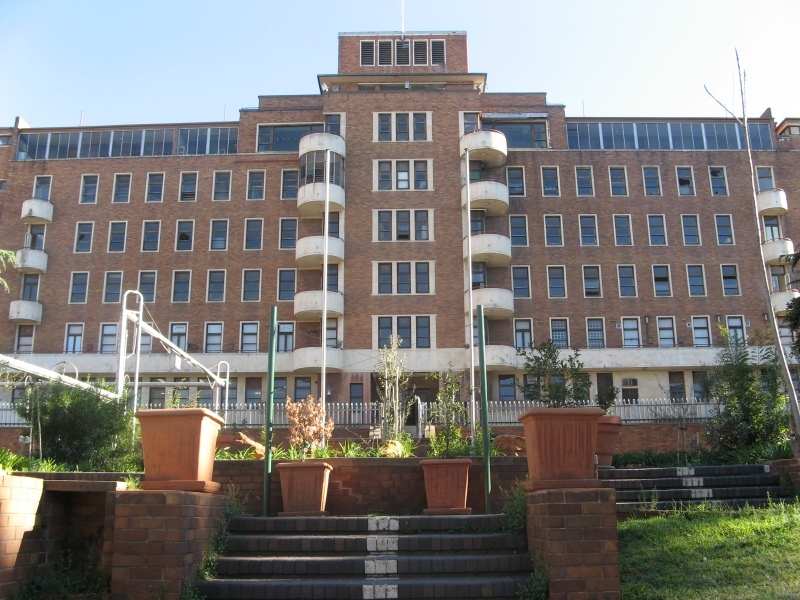 The 70 000m² Hillbrow Hospital, which closed in 1997, is earmarked to reopen as a 300-bed district hospital in 2019. Some of the 26 buildings are currently being used by a partnership between the Wits Reproductive Health and HIV Institute for care, research and training. Being a heritage complex with strong concrete structures, the facade and integrity of the original design will be kept intact while the base building is reinforced and refurbished on the inside. To achieve better air quality and improve circulation, an enthalpy heat recovery wheel will be used to decrease the energy consumption required to bring in fresh air at a particular temperature. Working together with architects at Zylec, after a thermal simulation was done to determine the heat zones in the hospital, it was decided that the theatres would be situated in these areas, typically with a northern orientation, while the wards will be situated in the cooler areas. “Since 100% fresh air is required for the theatres, the amount of air that gets pumped into the space also makes the space cooler,” Shaba explains. In terms of lighting, Shaba & Ramplin is doing photometric assessments and modelling of all the spaces to determine daylight penetration and lux levels before supplementing the natural light based on calculated design. They are also considering daylight sensors, which will see lights being switched off once there is enough daylight, and motion sensors in areas such as laundry and store rooms. To efficiently manage the water from the laundry and other residential services, a greywater harvesting system is being considered. In addition, more greenery and places of respite are planned, while universal access to the building will also be improved, specifically considering people in wheelchairs, mothers with children and pregnant women. Lastly, considering the socio-economic impact of the project, the team is looking at creating spaces outside the hospital for the informal market similar to what was done at the Gautrain station in Sandton. “Our aim is to partner with some of the entrepreneurial incubator hubs that operate in the inner city,” adds Shaba. The new 2 000m², 30-bed ward designed by architects from the Indigo Kulani Group for Tara Psychiatric Hospital in Sandton, is a new build without theatre space, which allows a bigger focus on green design, according to Shaba. “However, since the ward will house adolescents with psychiatric problems, both male and female, another layer of consideration is added in-between IUSS and Green Star, which makes it incredibly complicated and complex. Youths go there with mental disease profiles that you have to be mindful about, so we can’t use materials in the design that they can harm themselves with,” she explains. Situated on a greenfield site, the building’s orientation will favour a rooftop solar installation and the natural slope is ideal for a greywater harvesting system. Aurecon, appointed as mechanical engineer, is looking at installing a variable refrigerant volume air-conditioning system, as well as a heat pump system with a three-pipe system. In terms of landscaping, a courtyard within the building will provide a place of respite. In addition to monitoring and reporting measures being put in place, Shaba & Ramplin is using the existing building performance tool as a guideline for both projects to ensure efficient facilities management. This includes putting in place operations and maintenance manuals, as well as learning resources, and ensuring that training is done. Finally, all mechanical and electrical equipment will be procured from within the region to support local job creation and to make the overall maintenance easier. Full thanks and acknowledgement are given to Shaba & Ramplin for the information given to write this article.